Product information "Suede Leather Belt - Honey"
Honey suede belt with silver buckle. Wonderfully soft calf leather, an elegant and carefully crafted buckle: a real favorite piece. Works perfectly with sporty combinations with suits and jackets, but also with denim. Suede shoes of the same color are the obvious choice, but more contrasting choices like dark suede chukkas work really well. 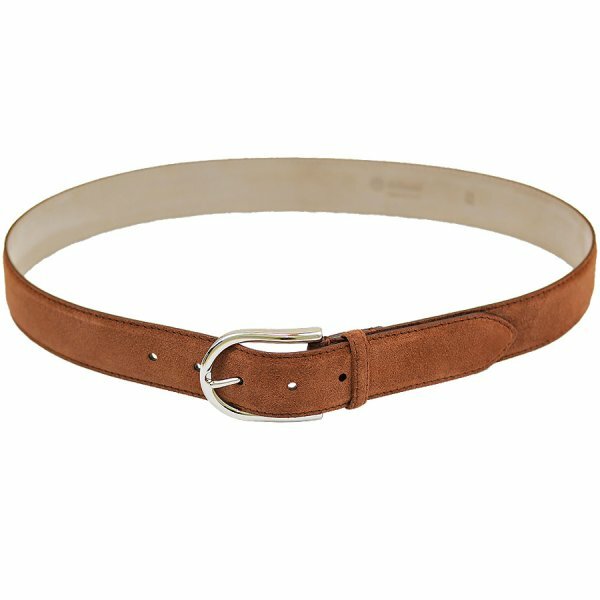 Related links to "Suede Leather Belt - Honey"